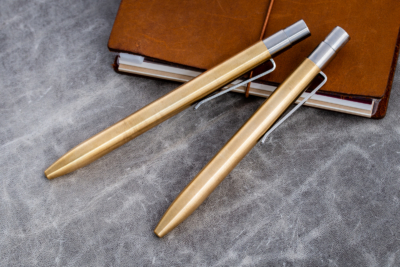 The models Shaker and Mover feature a unique and well thought-out click mechanism that is meticulously machined from solid titanium. 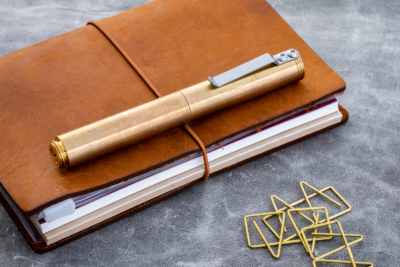 Everything about Tactile Turn's pens screams precision and quality, from the smooth bolt action to the accurately machined grooves along the entire length of the body. 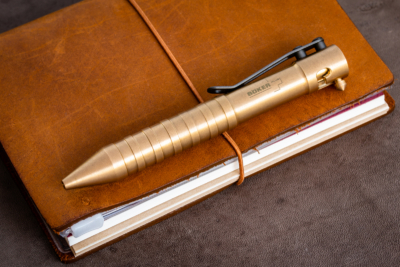 The Schon DSGN ballpoint pen is not your ordinary pen. 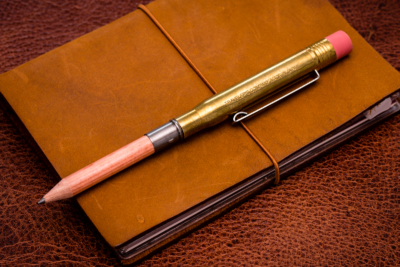 Overbuilt in a positive way, this durable writing tool will probably outlast you. The Böker Plus KID cal .50's bayonet mechanism can be operated just as quickly as the classic push button and will most likely reignite your play instinct. 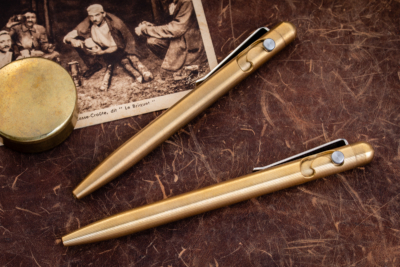 Designed and handcrafted in Italy, the Loclen Nanetto is a compact size ballpoint pen with a push-button mechanism. 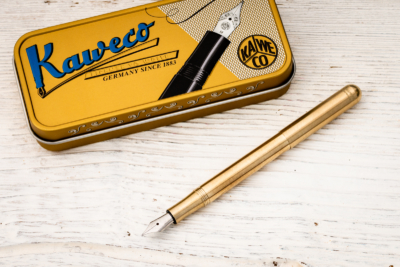 Being one of the smallest fountain pens in the world that accepts standard ink cartridges, the Kaweco Liliput transforms into a full size pen once the cap is screwed on. 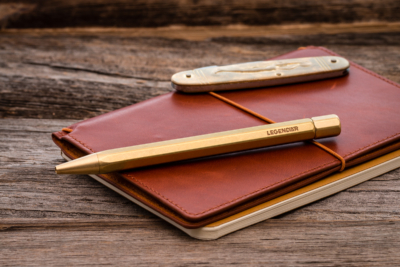 The Traveler's Company brass pencil holder is a Japanese reinterpretation of the classic bullet pencil. 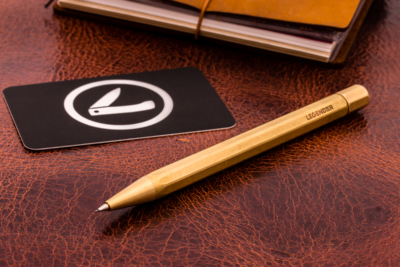 The Legendär mechanical pencil is a premium writing and drawing instrument with an elegant design and superior build quality. 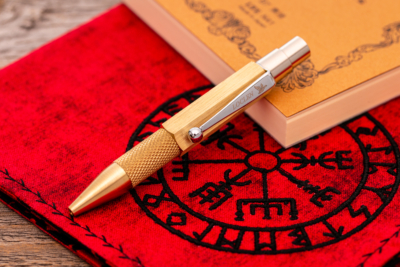 The Legendär ballpoint pen is precision-milled from a piece of solid brass and effortlessly combines timeless style with function.